*One of the first Scientists to discover Biofuels such as Ethenol that produce zero emissions. Many of his studies in alternative fuels are used today. *Invented Peanut Butter and over three hundred uses for soybeans, pecans and sweet potatoes. George Washington Carver was one of many children born to Mary and Giles, an enslaved couple owned by Moses Carver. He was born during the Civil War years, most likely in 1864. A week after his birth, George was kidnapped along with his sister and mother from the Carver farm by raiders from the neighboring state of Arkansas. The three were sold in Kentucky, and among them only the infant George was located by an agent of Moses Carver and returned to Missouri. After graduating from Iowa State, Carver embarked on a career of teaching and research.Booker T. Washington, the principal of the African-American Tuskegee Institute, hired Carver to run the school’s agricultural department in 1896. Washington lured the promising young botanist to the institute with a hefty salary and the promise of two rooms on campus, while most faculty members lived with a roommate. Carver’s special status stemmed from his accomplishments and reputation, as well as his degree from a prominent institution not normally open to black students. 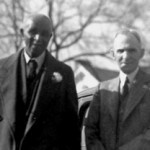 Tuskegee’s agricultural department achieved national renown under Carver’s leadership, with a curriculum and a faculty that he helped to shape. Areas of research and training included methods of crop rotation and the development of alternative cash crops for farmers in areas heavily planted with cotton. This work helped struggling sharecroppers in the South, many of them former slaves now faced with necessary cultivation under harsh conditions, including the devastation of the boll weevil in 1892. The development of new crops and diversification of crop use helped to stabilize the livelihoods of these people who had backgrounds not unlike Carver’s own. The education of African-American students at Tuskegee contributed directly to the effort of economic stabilization among blacks. In addition to formal education in a traditional classroom setting, Carver pioneered a mobile classroom to bring his lessons to farmers. The classroom was known as a “Jesup wagon,” after New York financier and Tuskegee donor Morris Ketchum Jesup. 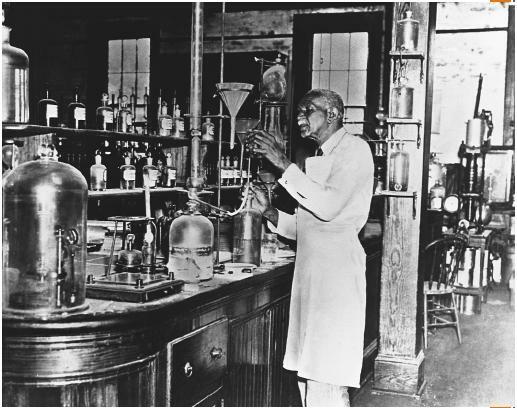 Carver’s work at Tuskegee included groundbreaking research on plant biology that brought him to national prominence. Many of these early experiments focused on the development of new uses for crops such as peanuts, sweet potatoes, soybeans and pecans. The hundreds of products he invented included plastics, paints, dyes and even a kind of gasoline. In 1920, Carver delivered a speech before the Peanut Growers Association, attesting to the wide potential of peanuts. The following year, he testified before Congress in support of a tariff on imported peanuts. With the help of Carver’s testimony, the proponents of the tariff were able to institute it in 1922. Carver’s prominence as a scientific expert made him one of the most famous African-Americans of his time, and one of the best-known African-American intellectuals up to that point. 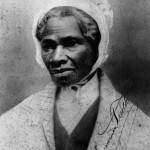 By the time of his testimony, however, Carver had already achieved international fame in political and professional circles. President Theodore Roosevelt admired his work and sought his advice on agricultural matters in the United States. Carver was also recognized abroad for his scientific expertise. In 1916, he was made a member of the British Royal Society of Arts—a rare honor for an American. Carver also advised Indian leader Mahatma Gandhi on matters of agriculture and nutrition. 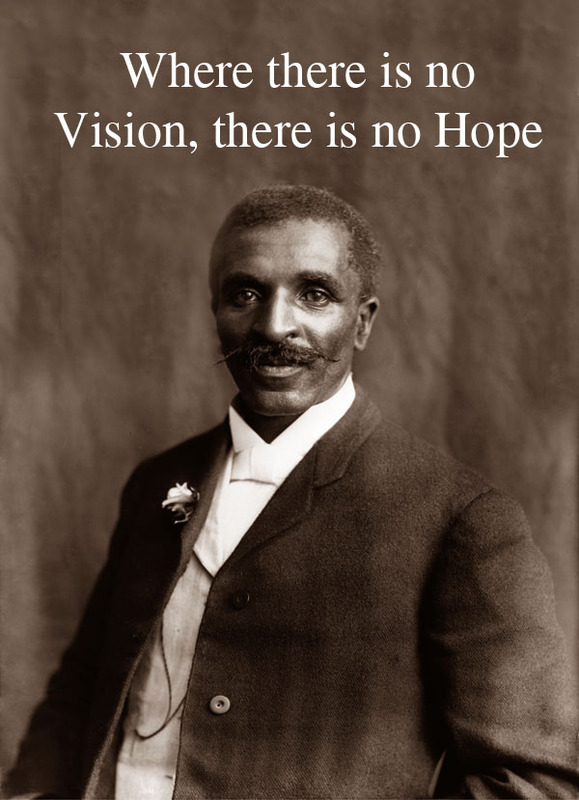 George Washington Carver used his celebrity to promote scientific causes for the remainder of his life. He wrote a syndicated newspaper column and toured the nation, speaking on the importance of agricultural innovation, the achievements and example of Tuskegee, and the possibilities for racial harmony in the United States. From 1923 to 1933, Carver toured white Southern colleges for the Commission on Interracial Cooperation. and declined to criticize prevailing social norms outright. Nonetheless, Carver’s scholarship and research contributed to improved quality of life for many farming families, and made Carver an icon for African-Americans and Anglo-Americans alike. George Washington Carver’s iconic status remained after his death, in part due to steps that Carver and others took during his lifetime to establish his legacy. Carver, who had lived a frugal life, used his savings to establish a museum devoted to his work, including some of his own paintings and drawings. In December 1947, a fire broke out in the museum, destroying much of the collection. One of the surviving works by Carver is a painting of a yucca and a cactus, displayed at the Chicago World’s Columbian Exposition of 1893. 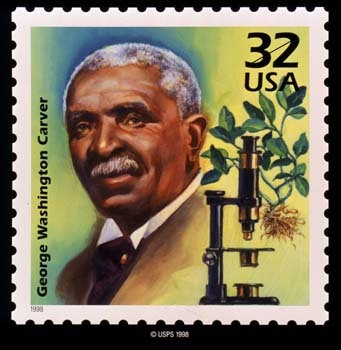 In addition to the museum, Carver also established the George Washington Carver Foundation at Tuskegee, with the aim of supporting future agricultural research. A project to erect a national monument in Carver’s honor also began before his death. Harry S. Truman, then a senator from Missouri, sponsored a bill in favor of a monument during World War II. Supporters of the bill argued that the wartime expenditure was warranted because the monument would promote patriotic fervor among African-Americans and encourage them to enlist in the military. The bill passed unanimously in both houses. In 1943, President Franklin D. Roosevelt dedicated $30,000 for the monument west of Diamond, Missouri—the site of the plantation where Carver lived as a child. This was the first national monument dedicated to an African-American. The 210-acre complex includes a statue of Carver as well as a nature trail, museum and cemetery. Carver appeared on U.S. commemorative postal stamps in 1948 and 1998, as well as a commemorative half dollar coin minted between 1951 and 1954. Numerous schools bear his name, as do two United States military vessels. In 2005, the Missouri Botanical Garden in St. Louis opened a George Washington Carver garden, which includes a life-size statue of the garden’s famous namesake. These honors attest to George Washington Carver’s enduring legacy as an icon of African-American achievement, and of American ingenuity more broadly. Carver’s life has come to symbolize the transformative potential of education, even for those born into the most unfortunate and difficult of circumstances.